One thing that unites us as a nation is land. Americans strongly support saving the open spaces they love. Since 1996, Land Trust of the Treasure Valley (LTTV) has been doing just that for the people of Idaho. LTTV has now announced it has achieved national recognition by becoming accredited – joining a network of over 400 accredited land trusts across the nation demonstrating their commitment to professional excellence and to maintaining the public’s trust in their work. "Gaining accreditation by the LTA Accreditation Commission means a lot to the Land Trust of the Treasure Valley," said Executive Director Tim Breuer. "Sound practices assure the public that we are using their resources efficiently and that our project work is done with best practices to assure strong public benefit. Our process and policies have improved by virtue of going through the accreditation process. We are a stronger organization because of it." Land Trust of the Treasure Valley provided extensive documentation and was subject to a comprehensive third-party evaluation prior to achieving this distinction. The Land Trust Accreditation Commission awarded accreditation, signifying its confidence that LTTV’s lands will be protected forever. Accredited land trusts steward almost 20 million acres of land – the size of Denali, Yellowstone, Grand Canyon, Glacier, Everglades and Yosemite National Parks combined. 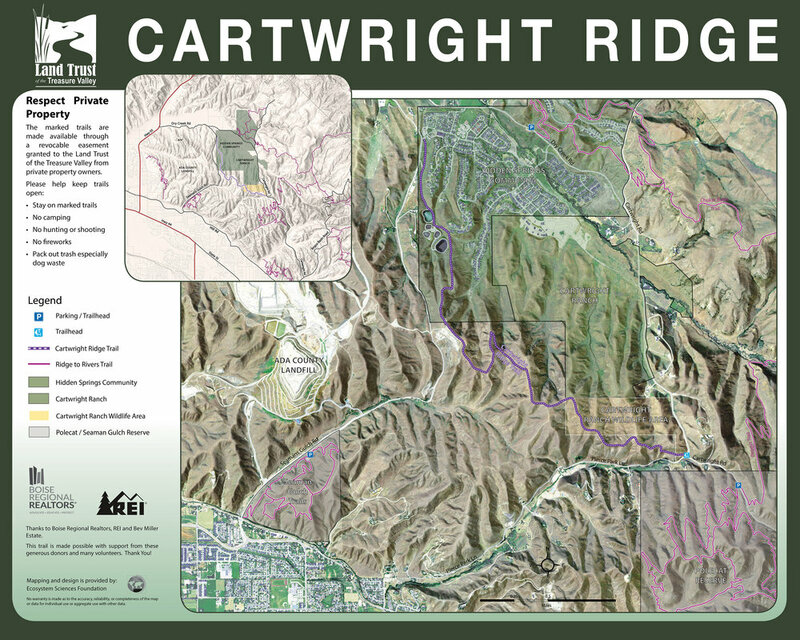 In 2011, LTTV purchased 59 acres of land, kicking off what would later become the Hillside to Hollow Reserve. In 2018, the Land Trust furthered conservation efforts in the valley by purchasing 560 acres of land northwest of Boise, providing a path forward for the connection between Stack Rock and Avimor. LTTV also works to protect the community’s land resources by holding easements, hosting trail work days, and coordinating stewardship projects. Land Trust of the Treasure Valley is one of 1,363 land trusts across the United States according to the Land Trust Alliance’s most recent National Land Trust Census. Wild Outdoor Week (WOW) connects underserved youth with open space, STEM education, outdoor recreation and conservation professionals. Participants are primarily from the refugee community and do not pay to participate. In 2018, WOW engaged 31 teens over the course of two programs. WOW focuses on providing access to natural landscapes for youth who have not had the chance to explore the foothills and ponderosa forests close to home. Wild Outdoor Week also seeks to use these experiences to get participants thinking about what to do after high school by exposing them to field conservation careers with the Forest Service, BLM, City of Boise, and nonprofits. 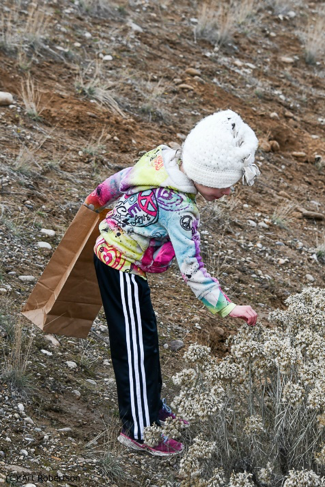 In 2018, WOW participants cleared 2 miles of trails, surveyed Cartwright Ridge for the rare Aase’s Onion, completed Brown’s Transects to assess local forests for wildfire danger, improved bird habitat at Hyatt Hidden Lakes, practiced working on a fire line with the Lowman Hand Crew and planted 100 native shrubs in Harrison Hollow. 90% of participants indicated that they would pursue field conservation-focused employment opportunities with Idaho Conservation Corps (ICC) based on their WOW experiences. One-third of participants are already seeking employment with ICC this summer. “I didn’t know you could be a firefighter in the woods,” said Sunny Wa, when asked about what he wanted to do when he finished high school. WOW is not just all work and no play - the program harnesses a strong “fun factor” to keep participants engaged and excited about each day. Past activities have included completing water quality surveys in the S. Fork Payette River, looking for macroinvertebrates in Dry Creek and exploring Mores Mountain and Lucky Peak Dam. “I wish I could go back and do it all over again” said Edo Se, a WOW participant. WOW would not be possible without generous support from many partners and sponsors, including a grant from the US Forest Service and key contributions from Idaho Conservation Corps, City of Boise, Golden Eagle Audubon Society, College of Western Idaho and many, many more.